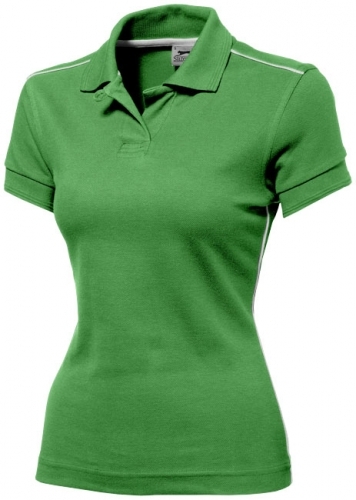 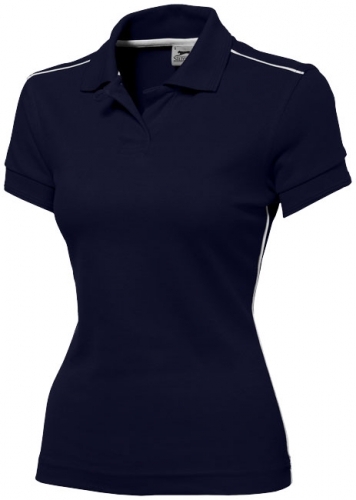 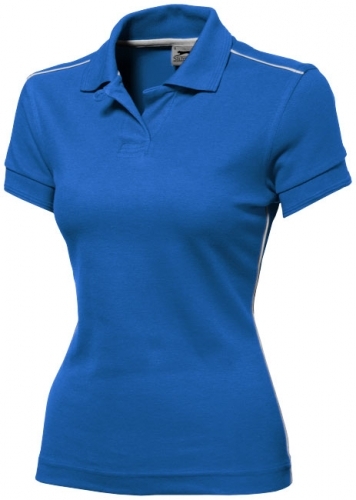 Backhand Ladies' Polo. 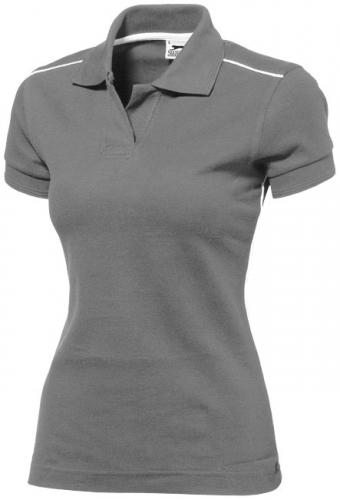 Stylish 1 button closure.1x1 flat knit rib collar with embossed tippings.Piping at shoulder and side seam.Necktape in contrast colour.Ladies polo is form fitted and has side slits. Fabric of 100% honey combed Cotton. 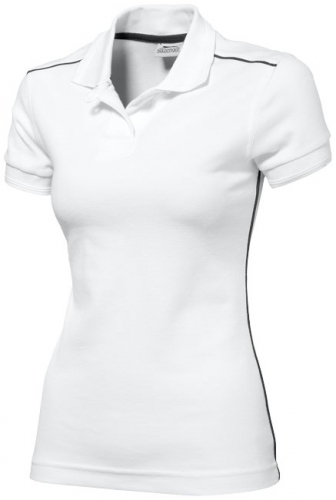 250- 260 g/m².